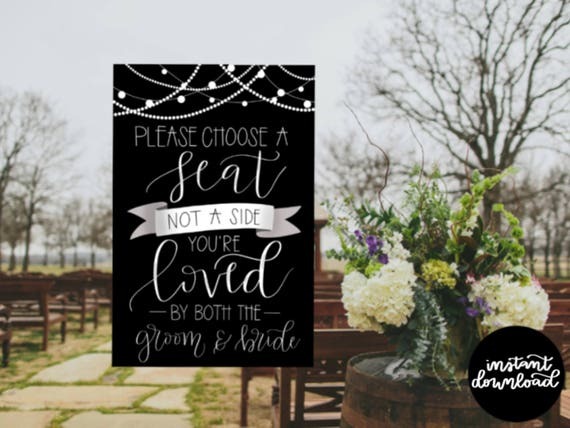 Bride’s side or groom’s side? Unless I’ve been asked that question and then escorted to a seat, I’ve never been able to remember which side is which. Plus, what are you supposed to do if you’re close with both the bride and the groom? I tend to sit near someone I know who is already seated or wherever there are a few open seats somewhere in the middle. 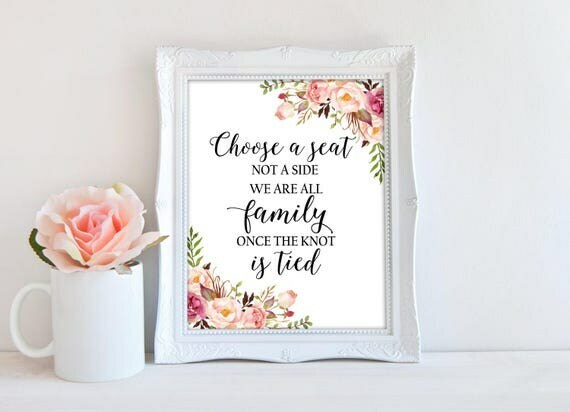 I actually just looked it up and Google says that the bride’s side is on the left and the groom’s side is on the right, except in Jewish ceremonies where it is the opposite. Luckily for people like me who can’t seem to remember that info, open seating for wedding ceremonies has become increasingly popular. 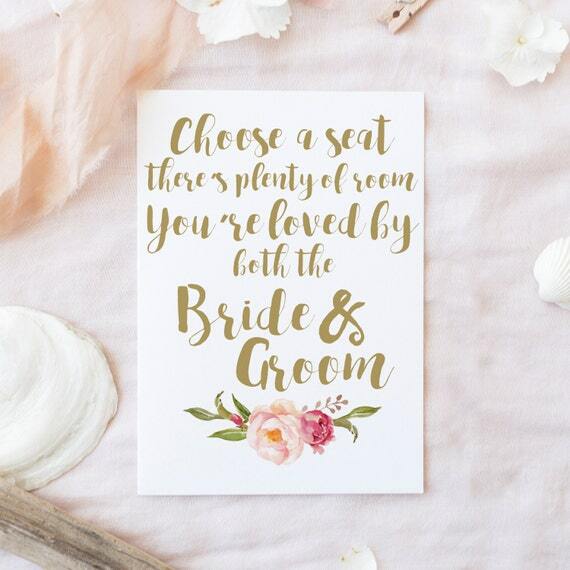 Lots of weddings have signs instructing guests to sit where they wish and I thought I’d gather up some of my favorites. The signs have become so popular that they've earned their very own Wedding Bingo square. This sign CreationBay has a festive design. It would be lovely for an evening wedding that takes place outside with twinkle lights strung overhead. Because it is black and white, it would fit nicely with many color palettes. 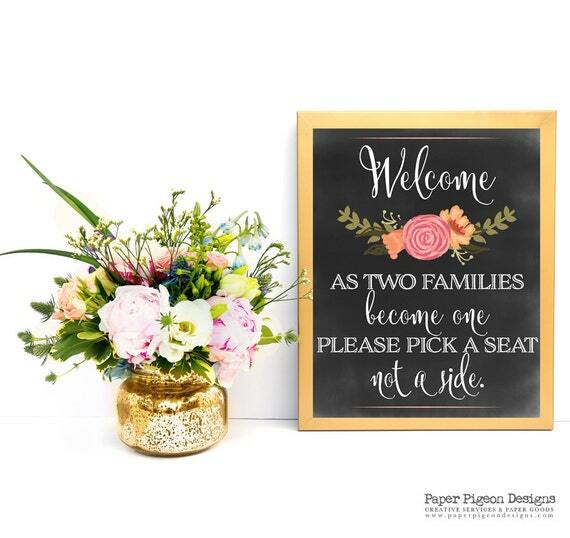 This floral sign by RedRoseDigital is perfect if your other paper choices like invitations have been floral. This is one of my favorite ways to word the sign because I consider many friends to be family. It would also be perfect for small, intimate ceremonies. 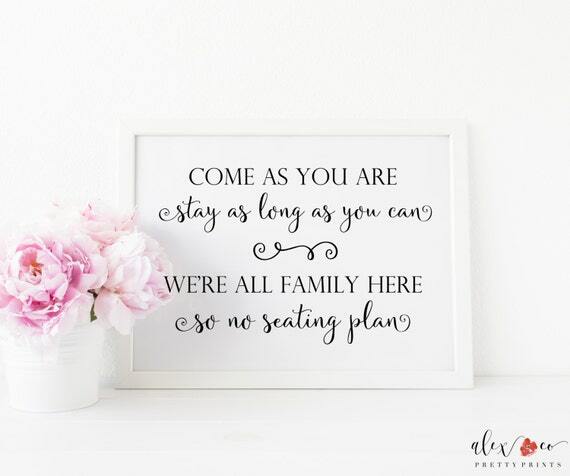 Alexandcoprintables has designed this sign, which can be used for both the ceremony and an open-seating reception. 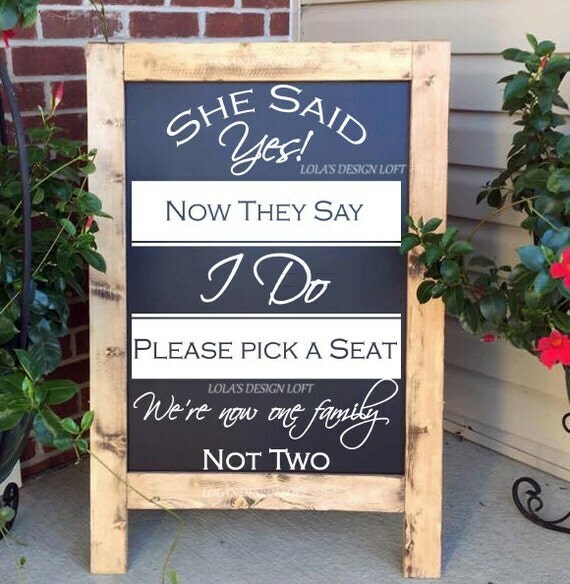 The black and white sign would easily fit in with any style wedding.